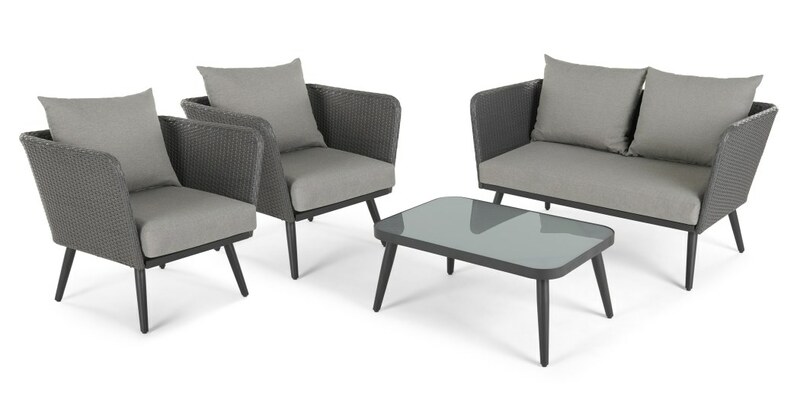 Give eating out a whole new meaning with Sonora – a lounge set which seats four, perfect for casual social gatherings. This set includes a two-seater sofa, two armchairs, and a perfectly proportioned coffee table. Designed with clean lines and a sophisticated grey colour palette. Sonora's seating comes with detachable, padded cushions. It's a minimalist collection that will enhance your greenery and blooms.